Go to the Reinhold Foundation website (http://reinhold.net/, find your directory listing and update it if necessary. Make sure that you review and update these items. a). Name, email, phone number for primary contact person. b). Short description (one or two sentences) of what your organization does, your mission. c). Categories or keywords that people would use in searching for your organization. e). Address – both physical and mailing, if different. Check out the University of Florida IFAS Extension website: http://edis.ifas.ufl.edu/ It is a treasure trove of publications and is largely unknown as a resource. Information could be used for curriculum, handouts for your clients, background for your website or Facebook page, etc. Topics include: agriculture, community development, environment, families and consumers, 4-H youth development, and lawn and garden. Everyone should be able to identify at least 2 resources that would be of benefit to your organization and share them with someone. We’d love to hear your results at our next meeting. 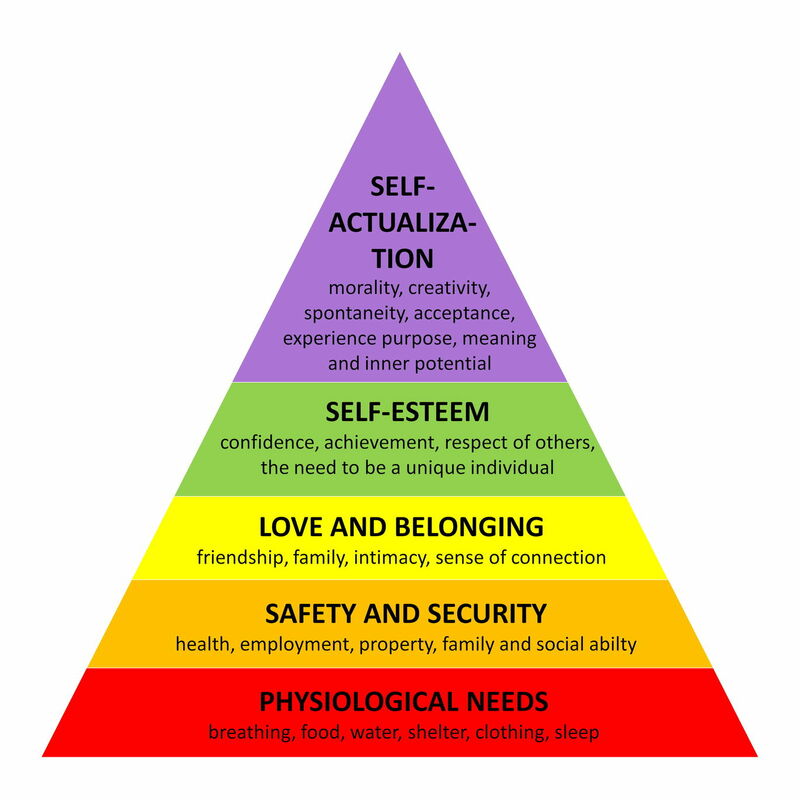 We’ll further explore how Maslow’s Hierarchy fits into Clay County’s nonprofits. Come join us at our June 24th meeting at St. Vincent’s from 8:30 to 10:30 a.m. Our focus will be Shaping Clay – Moving Forward. Shaping Clay has been evolving and based on a prior meeting we agreed to stay connected to, but not duplicate the work of the Clay SafetyNet Alliance (formerly called the Mercy Network). The Clay SafetyNet Alliance’s focus is on providing social service support for those with chronic or one-time needs in our community. Shaping Clay’s goal is to connect and enhance the efforts of the nonprofits that provide enrichment support for the community. We are also focused on creating linkages between all nonprofits and other stakeholders such as libraries, schools, government agencies, legislators, for profit businesses, and the faith-based community. Create a profile of the impact that nonprofits have in Clay County and use it to meet with and seek support from our legislators. Make widely available a directory of volunteer opportunities for those who want to volunteer. There are a couple directories already in place that we should review and potentially use, rather than reinvent the wheel. Develop a speaker’s bureau that would provide visibility and education opportunities for our nonprofits to connect with the community. Identify a way to solve the continuing challenge of ‘how do we get the word out?’ Where could a resource directory be created and maintained? Get an update of how the councils which focus on select groups are doing and how can Shaping Clay help them advance – mental health, seniors, and veterans? We need your input on June 24 to determine the focus for our remaining 2016 meetings. Your ‘hot button’ topic may not be on the above list, and we’d like to add it. The success of Shaping Clay is based on the collaborative ideas and efforts from all our nonprofits. We’d like everyone who attends to leave with some concrete suggestions about how we can share resources – volunteers, donations, office space, equipment, etc. Also if we form teams to work on a couple of the prioritized efforts, each of us could select a team to join. We’re looking forward to seeing everyone on June 24 at Saint Vincent’s at 8:30 a.m.